FA Grow the Game grant of £1,500, awarded so a new U11 girls side can be established. An FA Retain the Game grant of £750 was also awarded. "Funding from The FA’s Retain the Game scheme could help to secure the long-term future of Crowborough Athletic." The grant, which has been awarded to help aid the retention of adult male teams within grassroots football, will enable Crowborough Athletic to sustain their Senior and Junior over the coming years. 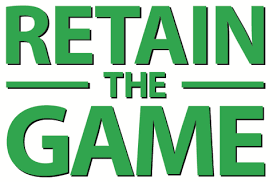 Money invested as part of Retain the Game will go towards covering core costs - including matchday and training facility hire - first aid training and new Nike kit and equipment through a bespoke voucher. "There are many costs involved with maintaining open aged football such as pitch and facility maintenance, utilities, etc. Our club relies on its supporters and sponsors but funding remains a challenge. "It's great that the FA are recognising the challenges faced by clubs such as ours which are non-commercialised, run entirely by volunteers and without big backers. The grant will help us to meet the challenge of retaining open aged football for the future." Eric Gillett, First Team and U18 Secretary, via his email address, emgillett@hotmail.co.uk. The push to reverse the decline in adult male league football follows the recent Grow the Game funding window for 2018, which made £1.5 million available for grassroots clubs looking to create new women and girls or disability football teams.  BUILDBASE FA VASE DRAW. The 3rd round draw has been made and it's thrown up some interesting ties. GAME ON TONIGHT - CROW U18 V HOLMESDALE U18.  Cherry Red Records Combined Counties League, Tony Ford U18 Division South at the Community Stadium. Kick-off: 7:30pm.